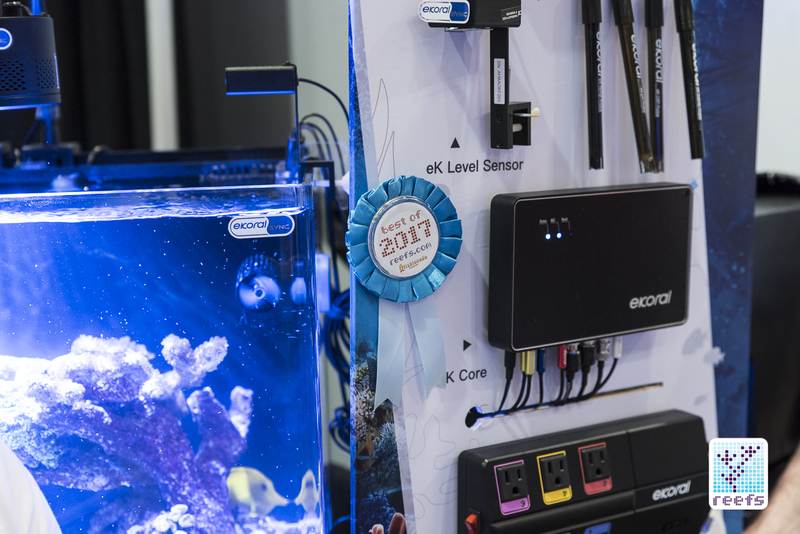 EKoral is a new aquarium controller which is promising to deliver some real advances in the aquarium monitoring and controlling space. The hardware from EKoral includes all the same basic components that we’ve become familiar with from the incumbent players but what really sets EKoral apart is that they are a software developer first, and got into the hardware game second. There’s no question that the Apex and Profilux can do a lot of things, but you can’t do any simple functions as easily as drag-and-drop – for anything more complex, you practically have to be a programmer or engineer yourself. 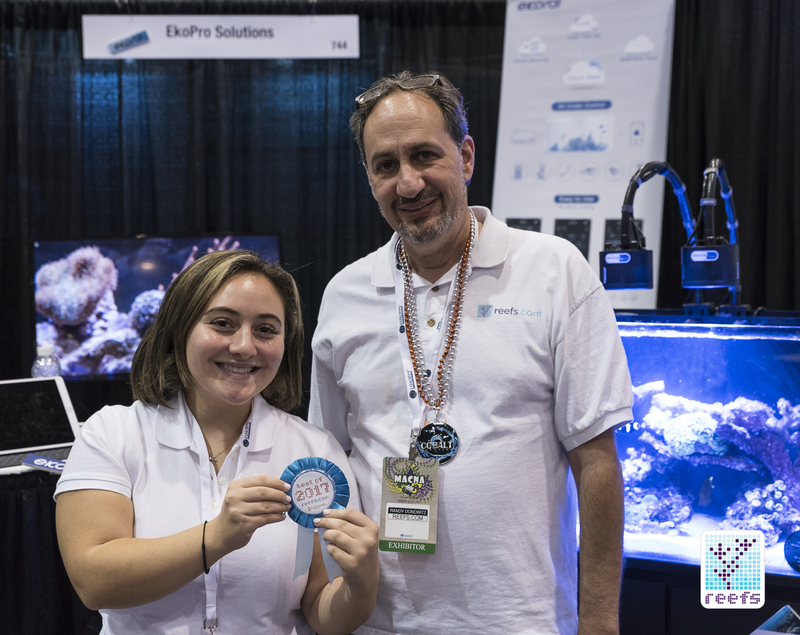 EKoral promises to change that paradigm with simple, easy and intuitive software that will do all the same basic functions we expect from an aquarium controller, but you might not even have to read a manual to really dial in your reef tank. Unlike the very limited Fishbit controller, the EKoral should do just about as much as the ‘big boys’ with subtle but noticeable design tweaks to help with the overall function of their machine. The widely spaced and angled surface outlets of the powerbar should make it much easier to plug in even the most ungainly power bricks, while color coded plugs with indicator LEDs help streamline basic setup – sure seems a helluva lot easier to have the outlets programmable but predetermined than to have to assign all the basics by yourself! 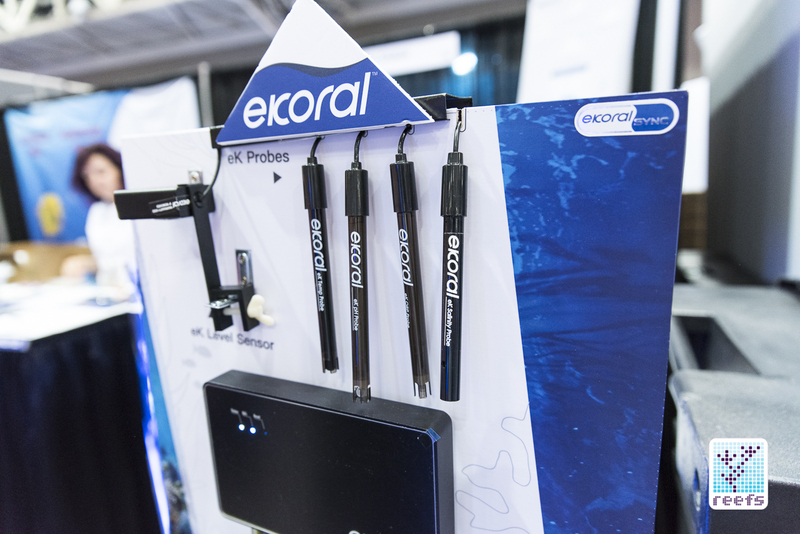 The Ekoral ecosystem includes everything you’d expect a fully fledged controller to do, pH, orp, salinity, a digital temperature probe. The water level sensor is particularly interesting since it it continuously monitors water level from a distance with two optical cameras that never come into contact with the water. 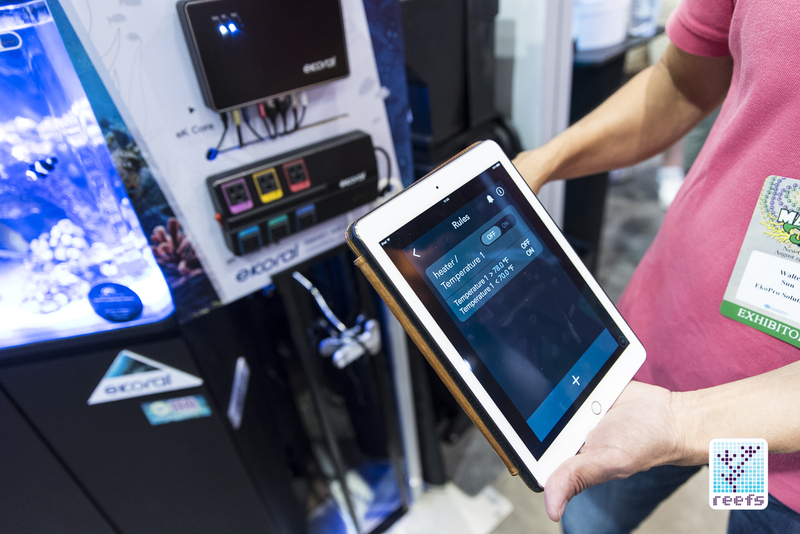 There’s no question that the Apex and Profilux are very capable hardware that can really satisfy the aquarium control freaks, but they are downright depressing to use and program on any kind of regular basis. 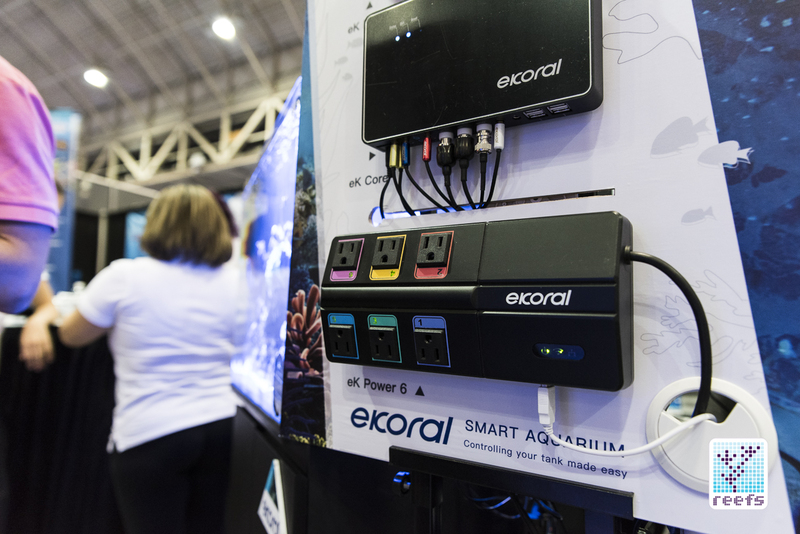 If these products were introduced today they’d have a hard time getting any kind of market traction, and hopefully this is where EKoral can really improve the experience of owning an aquarium controller. 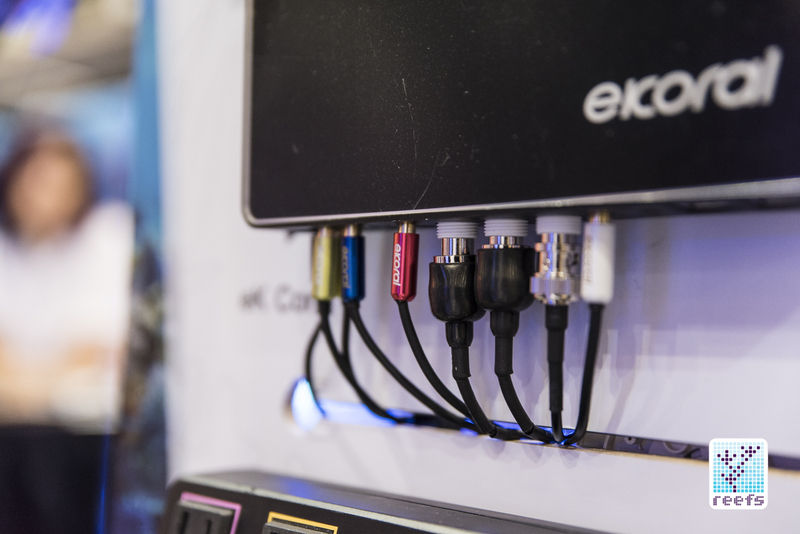 At $899 for a fully loaded system, the EKoral is actually a pretty fair package price. Promotions now going on, above with the Pro version get a power bar at no extra charge and with the Pro starter version get a Leak Detection module and a Sonic water level at no charge. 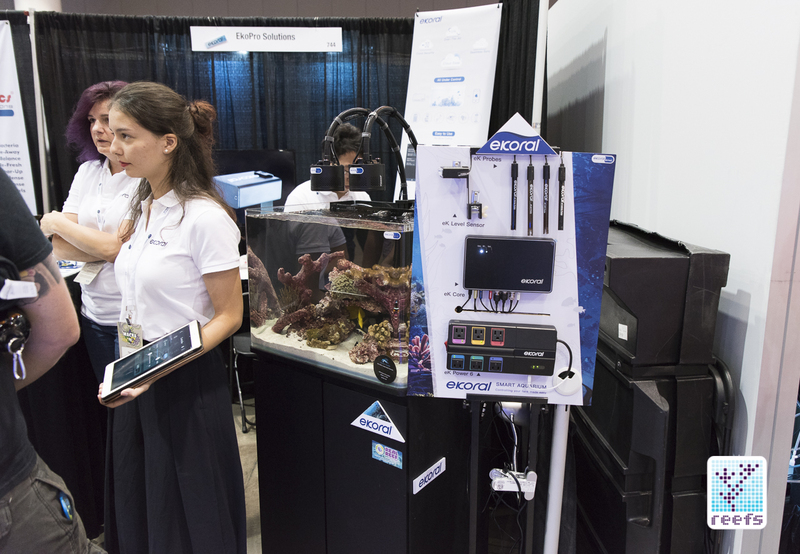 In an aquarium controller market dominated by a handful of devices from just a few manufacturers, it is extremely hard for a new company to establish its name and to compete with a new, unknown product. Many have tried, most have failed. It’s not because there is some kind of tightly-regulated monopoly where new competitors are swept under the rug, but rather, the existing aquarium “computers”, like Neptune Systems’ Apex, GHL Profilux, and a few others are excellent devices people swear by for functionality and reliability. To achieve any amount of success, a newcomer to the market needs to bring a complete, almost ready to hit the shelves device that’s backed with its own hardware and infrastructure cloud based interface. One such device was presented at MACNA 2017 – it is called EKoral, it comes from Taiwan, and the least I can say about it is- it is really interesting! In essence, Ekoral looks and operates like any other full-fledged aquarium controller. It has a base unit, called eK Core, to which all the peripherals connect to, a set of probes for measuring pH, temperature, ORP and salinity, a power strip named eK Power 6 with 6 independently controlled, 10Amp rated outlets, and a few accessories like a camera and water level sensor. Ekoral Core is an elegant box with indicator LEDs built in front and all connection ports located on the bottom. It also has built in WiFi and Bluetooth for updates, wireless communication with third party devices, and for syncing with eKoral’s proprietary, cloud-based control platform. 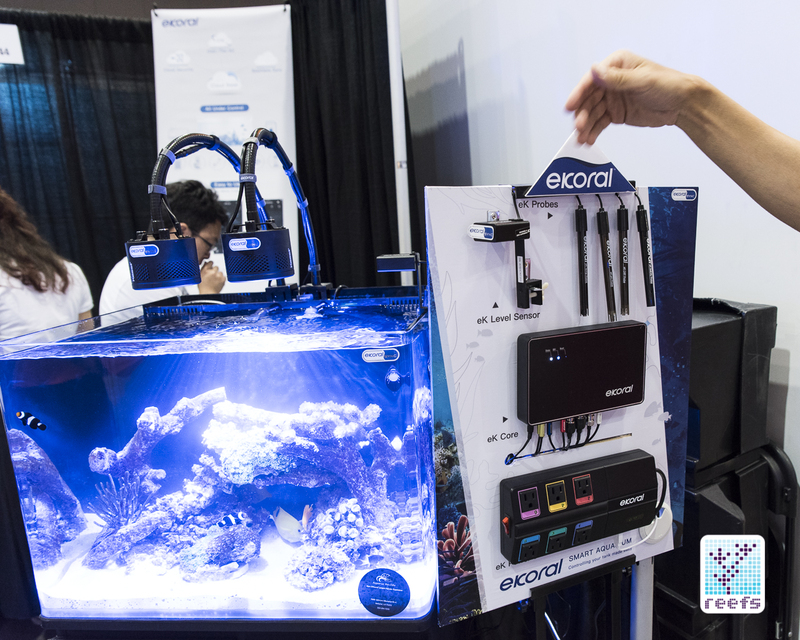 During my conversation with eKoral representatives, I learned that the basic idea behind their product was to invent a controller that eliminates as much programming as possible, has all the necessary sensors and probes included in the package, and is built on an infrastructure that can be expanded and easy to adopt by third party manufacturers who wish to include eKoral to the list of supported aquarium controllers. In fact, EKoral’s compatibility certificate program for third party devices already has an impressive list of products that are guaranteed compatible with eKoral controller. 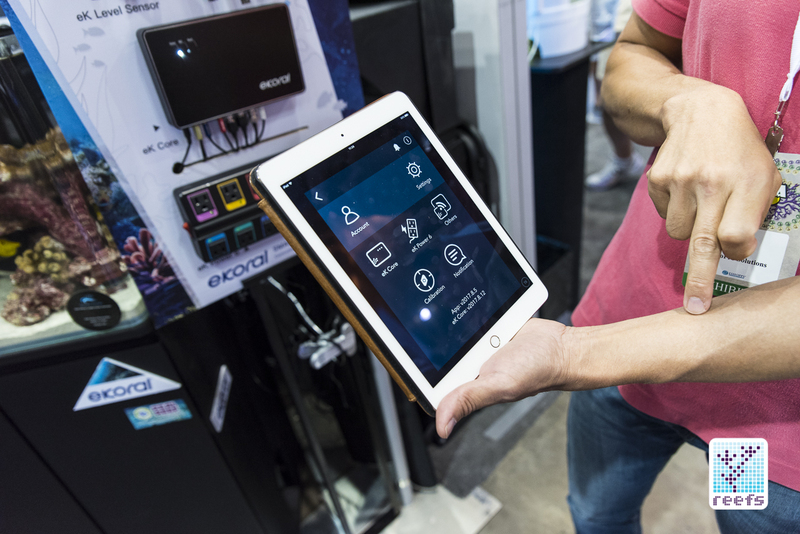 Brands like Reef Octopus, Kessil, AquaticLife, Tunze, and others all have at least one device in their catalog that are certified to communicate with eKoral. I did not play with the cloud based interface for very long, but at first glance, the platform looked intuitive and easy to follow. There are basic functions like programming the outlets and sensors, done in a simple visual form with sliders and step by step instructions, as well as dedicated tabs for probe readings graphs and power usage charts. One unique gadget eKoral features is a water level sensor that sits above the water line and uses ultrasound to monitor water level, as opposed to an optical element or a float switch seen in other water sensors. The latter can only tell when the water level comes in contact with their inner mechanism, but eKoral Sensor monitors the water level constantly and can record changes in the tank’s water column throughout the day. eKoral comes out in the month of October and will be sold in three levels: Basic, Pro, and Elite. I didn’t receive any details about what’s included in each version and in terms of pricing; only the mid-level Pro version price, which is $899, has been revealed. It’s good to see a new player in the aquarium controller market coming out with a complete, fully functional product. For that reason, eKoral received our “Best of Show” award. To purchase your new eKoral, visit us now at www.aquatic-sealife.com to learn more about his new controller. 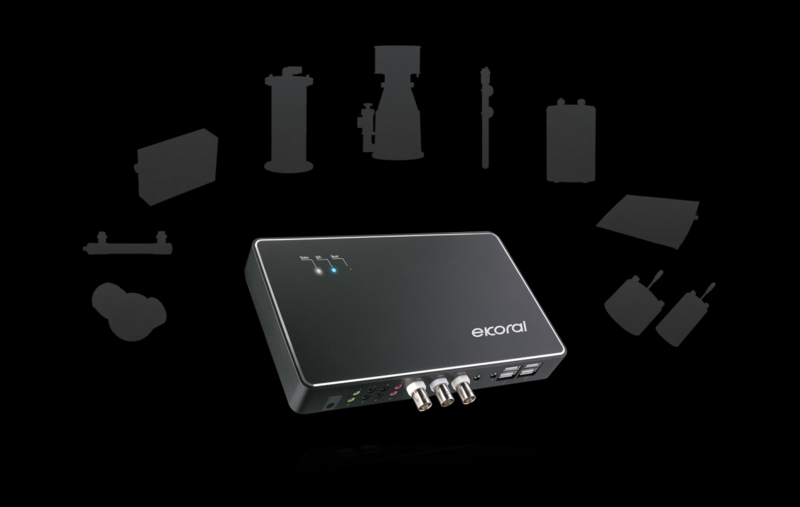 Also, check to see the full list of eKoral Sync approved devices.